Yes, we know... USB is not ideal. There's the cantilever issues and then there's the orientation issues. USB-C and lightning have long since fixed some of that issues, but if you're not an iUser and not have one of the few USB-C devices (or not upgrading y our computer to USB-C ports) it doesn't really help. 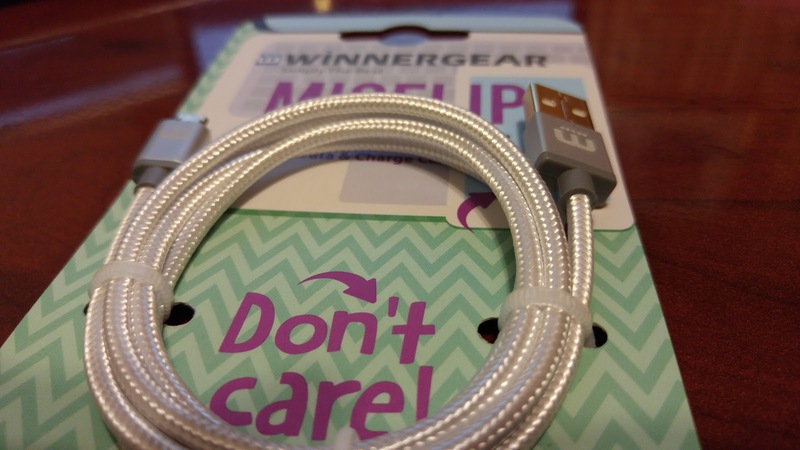 Enter the recent line up of reversible microUSB cables. 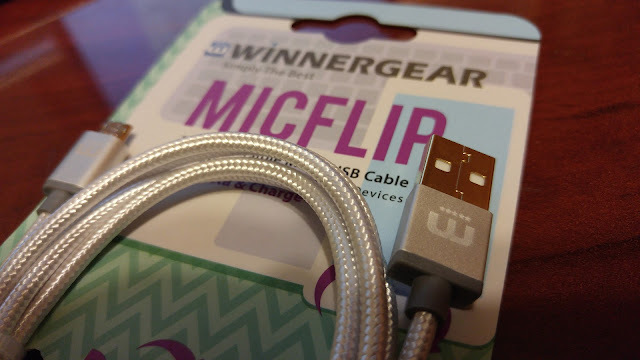 There've been a few out there, but one of the first was WinnerGear's MicFlip. I believe it was through an IndieGoGo ... and they're available now (just got mine) for $20 each. What's great about these cables is that not only are they reversible, but they also work with QuickCharge and are tangle free. They have that 'mesh' around to make them feel so much more sturdy than my other cables. But, back to the reversible portion. Up to now, I've gotten to be absolutely like a ninja in being able to determine the orientation of my USB cables (just feel for the little hookie thingies on the plug and that's the 'bottom') so that plugging my phone in at night I can do it in the dark, no problem. Which is why I usually deride most OEMs that flip the port upside down (looking at you HTC). Makes me re-train myself. Now enter the reversible. I don't have to worry which way is up. Or that if a friend plugs theirs in they don't have to wrangle with the cable or force it in and break something. If you're not upgrading your phone any time soon, I'd suggest upgrading your cables at least to reversible... hassle free connections. Sure, it may be more expensive at $20 for a cable... considering there are some for like $5 out there, but the braiding and connections feel really secure and set. You won't regret it. Besides, they make great stocking stuffers!